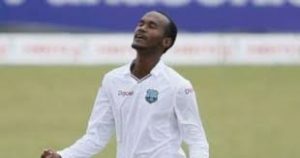 Following the West Indies’ dismal performance in the just concluded two-Test series against Bangladesh, the team’s captain Kraigg Brathwaite has admitted that the batsmen were not up to the task mentally. The West Indies crumbled to an embarrassing innings and 184-run defeat to Bangladesh on Sunday to lose the two-Test series 2-0. It was the first time they had lost a Test series to Bangladesh in Bangladesh. After watching the home side amass 508 in their first innings, the Windies were then dismissed for 111 and 213 in another dismal batting performance. “It was very disappointing. Our bowlers did a good job, but the batting let us down. Some of the shots weren’t the best. Most of the games we were 30-odd for three. It put the batting order under a lot of pressure. It wasn’t good for us at all. I can’t blame the wicket. 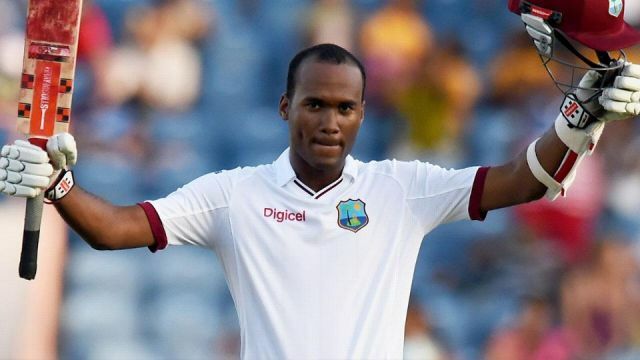 Some of the shot selection wasn’t good at all, especially yesterday evening,” Brathwaite said. “Test cricket is a mental game. We could have had some talks. Mentally we probably weren’t there, especially yesterday when we lost five wickets quickly. We have to do better as batsmen, even myself. We can’t consistently be 30 for three. We have to hold up our hand and do the job. Simple.” He said although the pitches in Bangladesh were drier than those in India, the conditions were not to blame for his team’s performances. “I think the pitches here were a little drier but we didn’t carry out the shots at the right time. We just didn’t get anything together with the bat. “We planned for spin here. We had a lot of spin sessions in the nets. We probably weren’t 100 per cent. Test cricket is never easy. You can’t blame fielding. It is tough, but we have to get better,” Brathwaite insisted. But he too had an abysmal series with the bat, scoring only 22 runs in four innings. In the previous tour of India last month Brathwaite made only 26 runs in four innings. “I am very disappointed. I didn’t have a good series in India so I was looking to lead the batting, but it didn’t happen. I have to keep strong and try to lead the batting in the next series [against England in July],” he said.